As a new mom you know you’ll need to stock up on winter clothing for baby/toddler. But once you start shopping you’ll realize all this winter gear costs big. You may ask, do I buy a $75 winter coat or a $40 winter coat? Does my baby really need a newborn size snowsuit? As a mom in a cold weather climate, I have decided which items are worth spending money on and where I can save. Also, a few tricks to making your money stretch when buying winter clothes and accessories. Now, for my all-time favorite winter product… Bogs boots! Have you seen small toddlers and children waddling around and tripping because they cannot walk easily in their snow boots? That’s because most snow boots are bulky and stiff. Not Boggs! They are soft, flexible and lightweight. They are easy for children to pull on themselves with handles. Bogs are completely waterproof and keep feet warm in very cold temperatures, and are even machine washable. Each pair is about $50 and totally worth it! My child will wear her Bogs as her primary shoe all winter long because they are comfortable and practical no matter how much snow and ice we find. However, if you live in an area that does not get regular snow, the price may not be worth it for you. Invest in a few pair of great quality winter socks. Buy at least 2 or 3 pairs that you can use when temperatures get dangerously cold or for playing outside in the snow. These can be hard to find for babies and toddlers. I recommend the Smartwool brand and the wool socks from Hanna Anderson. Luckily your child can probably wear the same pair for a couple of seasons. Unless you plan on having your newborn/infant play in the snow, do not buy a snowsuit! Instead buy a Carters fleece 1 piece that zips from top to bottom. This is softer and less bulky than a snowsuit that will probably not be used. Your baby will grow out of it so quickly. An additional layer you can use for your baby is an infant car seat cover. Since your infant will be in a car seat most of the time that he or she is outside, a car seat cover is a convenient way to add warmth, eliminate bulkiness and save money. 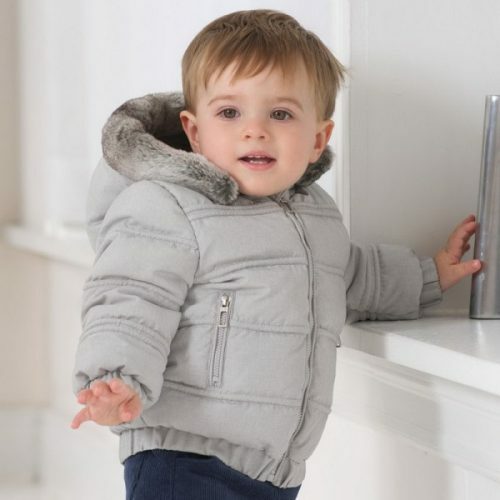 Fleece is a great, practical layer for any age child, from infant to teen. You can save money on fleece. The quality of fleece does not change much with the brand and price. However, I do find that less expensive fleece can have reduced quality zippers and seams. I recommend at least a few fleece jackets or pullovers for each winter. Carters and Old Navy always have a great selection at a great price. There are great ways to save when buying snow pants. 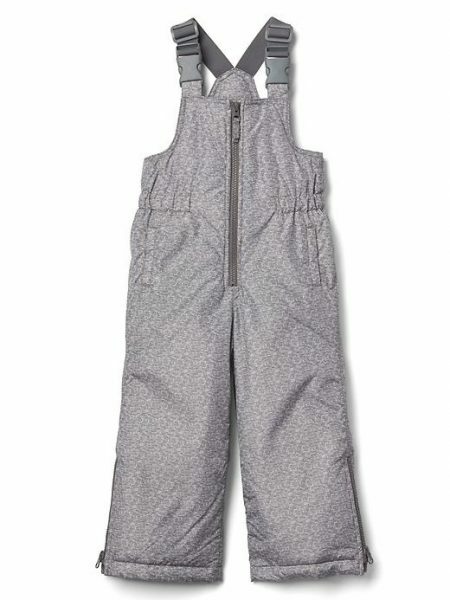 If your child is 2 or older you can plan on getting at least 2 winter seasons out of 1 pair of snow pants. Look for snow bibs with adjustable shoulder straps. Also, many snow pants have an extendable cuff. Once your child outgrows the pants in length, you can cut the stitching to lengthen the pants by an inch or two. My child is about to wear the same pair of pants for the 3rd winter in a row! Given that you can get years out of 1 item, you may want to spend on a quality product and a neutral color/pattern. So think ahead about the sizing before you buy snow pants. Winter accessories such as hat, mittens and scarf costs can add up. I find that when you buy a set you can typically get a better deal. Let’s consider sizing again. Usually these accessories are sized for 2 years. They may be 2T-4T or 4-6. So, plan to save some money by using the same set for a few years. Now, you should also expect these items will be lost. So my trick is to buy 2 or even 3 of the same set of hat and mittens that you can use for a few years. This way, if a mitten is left in the preschool or car, no problem, you have a backup and it even matches the set! Remember mitten clips? Buy them! They are so inexpensive and will save your sanity from having to find your child’s mittens regularly and save your family money from replacing them. Amazon has a great selection. These clips work well and come in a rainbow of colors. Another cold weather tip is to keep some warm fleece blankets in your car. When it’s extra cold in the morning you can toss them over the kids in their car seats for some extra easy warmth. Want even more money-saving tips for your family?